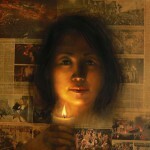 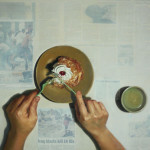 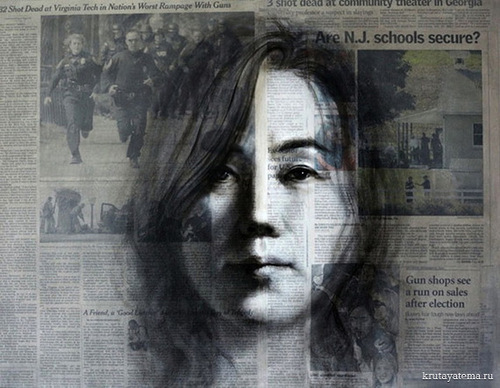 The reality of the modern world South-Korean artist Shin-Young An studies through newspaper portraits, that give her the opportunity to respond to social and environmental issues, disturbing events. 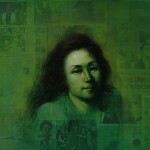 Social-political events that affect the “somewhat powerless” artist, she uses as a background for female characters. 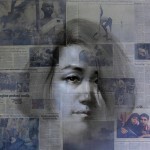 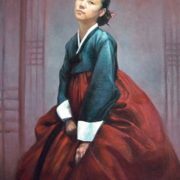 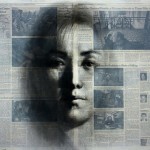 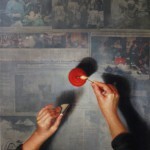 Over the black-and-white canvas of the articles Shin Young portrays colored faces. 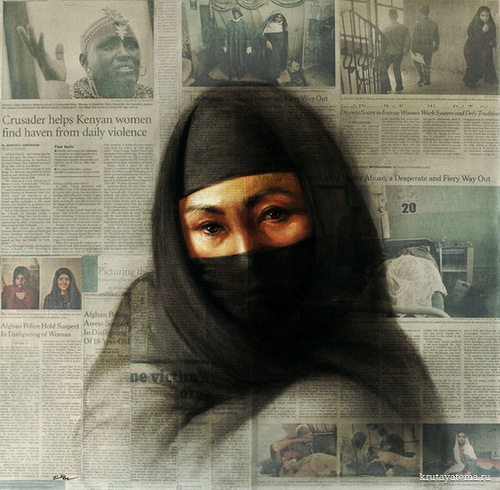 According to the artist, while reading about and listening to these issues in the news, the articles and stories, they began affecting her in such a way, that she wanted this to be reflected in her art. 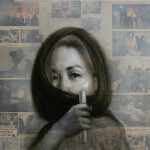 So, she depicts her reactions to these events through the visual interaction of hands, feet and portraits painted against a backdrop of current news articles that have touched her. 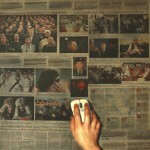 The main theme of her recent work is exploring the unfortunate reality of our present world. 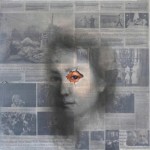 While reading the newspaper, articles began affecting her to the point that she realized she is a somewhat powerless artist and she wanted this to be reflected in her work. 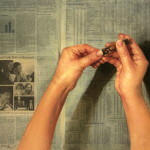 The artist depicts these reactions through the visual interaction of hands and feet, face and flowers painted against a backdrop of current news articles that have provoked her.